The potential for artificial intelligence to transform the financial services sector may not be achieved due to a shortage of skills. 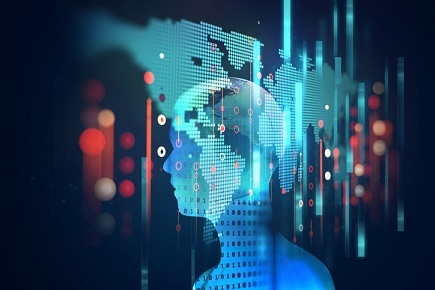 A survey from analytics leader SAS and the Global Association of Risk Professionals (GARP) showed that 81% of risk professionals in the financial services industry have already seen benefits from AI technologies. The best returns are from improved process automation (52%), credit scoring (45%) and data preparation (43%). But 52% of respondents said they were at least somewhat concerned that their firms lack the necessary skills to implement and maintain AI. Data availability and quality (59%), key stakeholders' lack of understanding of AI (54%) and interpretability of models (47%) are also seen as challenges to adoption. "At this point there's little doubt that AI is here to stay, and that is no different for risk professionals and financial services firms," said Mark Carey, Co-President at GARP. "While more than half of survey respondents described at least moderate knowledge of their firms' current and planned use of AI, the survey suggests institutions are still very much exploring AI, with a lot of questions remaining." Industry leaders are convinced that AI will transform financial services; Fidelity Investments’ vice-president Andrew Brzezinski recently wrote that there are two common uses that he sees for the technology. Although many people across most industries are concerned about the potential for ‘robots’ stealing their jobs, the survey shows that there are benefits to financial services professionals and their firms. In the next three years, almost all respondents expect AI to improve their jobs at least somewhat, including higher productivity (96%), faster time to gain insights from data (95%) and more data insights for faster, better decisions (95%). "Financial services organizations are striving to compete in the new AI-driven marketplace," said Troy Haines, Senior Vice President and head of the risk management division at SAS. "It is important for firms to bring together risk professionals and data scientists to examine well-defined, real-world problems that can be addressed with AI. Not every problem requires an AI solution, but it is important for risk professionals to be knowledgeable of the available technologies, so they can choose the best option to address their challenges."